My son came back this weekend from a week with his grandparents. While we were thrilled to have him home, it was not great timing. As soon as he came home, his sister started puking. What a welcome home, right? Due to her sudden sickness, we could not do anything fun to celebrate my son’s return home. And, it was pretty boring. 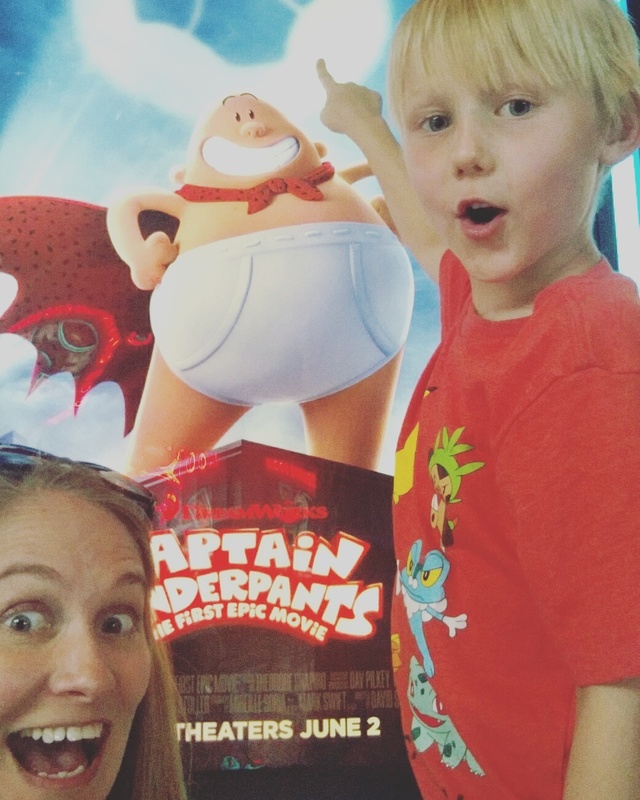 So, I decided to take him on a mom-son date to lunch and to see the Captain Underpants movie since we read the first book together (which he loved) at the local movie theater located in our local mall. The movie was meh, but it made him happy. When we left the empty theater (we were the only two people there – I wonder why…), we were surprised to see it was pouring. And, I didn’t have an umbrella. Now is the time to explain a weird quirk I have somehow passed along to my brave son. We do not like feeling wet. We love being in the ocean, pools, bathtubs, but getting out with wet skin makes us cringe. We have to dry off immediately - and completely. It took me until I was in my thirties to go with wet hair after a shower simply because I could not stand the feel of wet hair on my neck/back. Lucky for my son – he shares this same feeling. Whoops. Before I even knew what was happening, my son had gone behind me, lifted my knee-length sundress completely up, exposing my entire backside and underwear to the mall food court, so he could shield himself from the rain with my dress. It happened in a matter of seconds, but alas, the day I took my son to see Captain Underpants, I showed the whole mall food court my own underpants.